This is an old picture I took back in 2012 with a very basic lens (kit 50-200mm) and a Pentax K-30. Hopefully the age of the picture doesn't disqualify it. The Space Shuttle Endeavor was coming to land in LA for the last time before heading to its final resting home at the California Science Center. 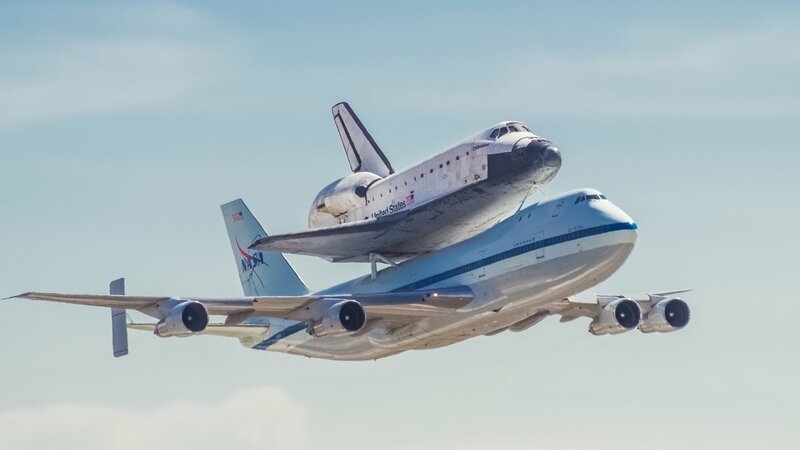 The Shuttle Carrier 747 made a low pass, flying above runway 24R at LAX. I had luckily found a somewhat elevated vantage point: the overpass at the intersection of Highway 1 (Lincoln Blvd.) and Westchester Parkway. I didn't have any fancy equipment and took the picture handheld. This is testament to the quality of Pentax cameras and lenses.